Reliable Hosting, Maintenance & Security is extremely important for the longevity of your site. Just like a car, your website will need long-term care and attention. Let us take care of this for you, so you can focus on your business and what you do best. Unlimited Content Edits* — you NEVER need to login to your site! We’ll take care of your site with the same care as our own. Your new website will make your brand look awesome. Our team will make sure it stays that way. Site goes down? We’re on it. 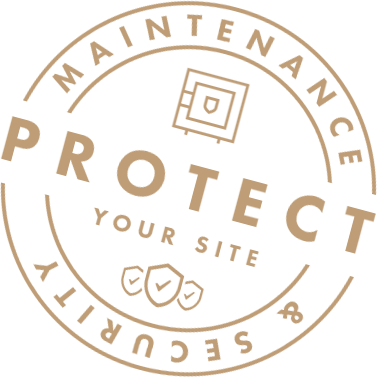 We host our own site with our Premium Hosting Service. Folks often judge your credibility on your website. Don’t let a potential site visitor’s first impression be a site that does not load, causing them to look elsewhere. 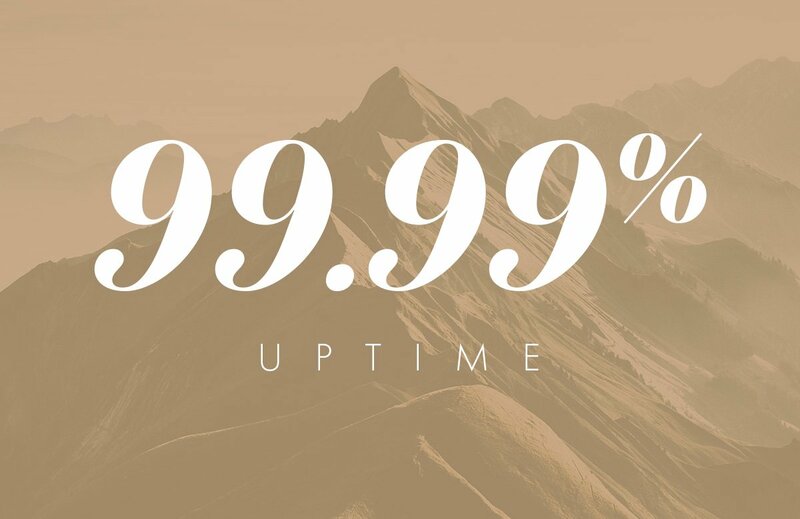 Our Managed Premium Hosting guarantees 99.99% uptime. Share your website with peace of mind. Your perception determines your reception. 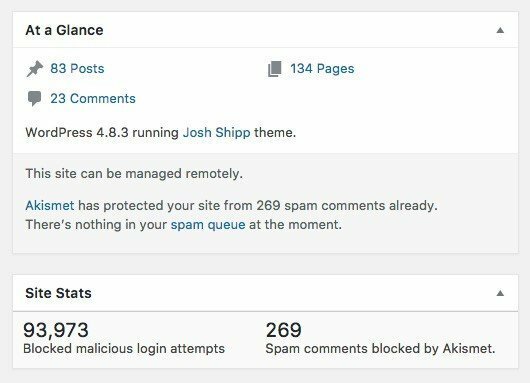 An outdated WordPress Version and/or Plugin can be a welcome mat for an attacker. It’s one of the easiest ways a hacker or bot can gain access to your site. 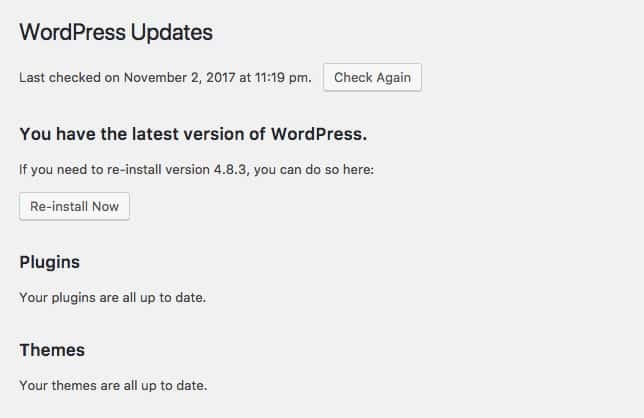 When WordPress or a Plugin Author releases an update, often-times the release comes with a Changelog highlighting what was fixed. This can tell hackers what was wrong with the previous version. Hackers write a script exploiting these problems, and those who have not updated fall suspect. Our system checks your site daily for any updates. 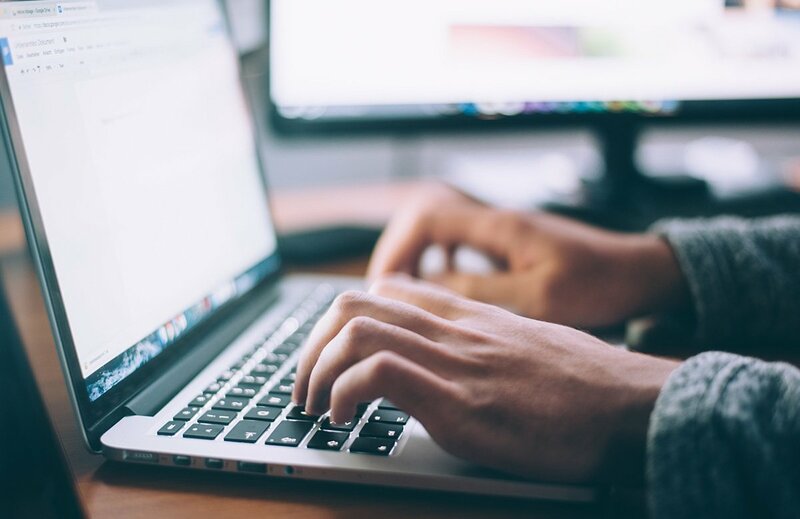 Hackers and malicious bots constantly scour the web attempting to login to websites using common usernames and passwords. This is why we never use “admin”, “wpadmin”, etc, for usernames. It is also why we use random passwords such as “oP2wgqiGHmz2sp”. If a hacker or bot does guess your username correctly, they will not guess that type of password. We also block known malicious IP’s automatically. We manually add these IP’s to the block list. We have Weekly & Daily Backup options available depending on your needs. The backup includes your website files, uploads, and database. 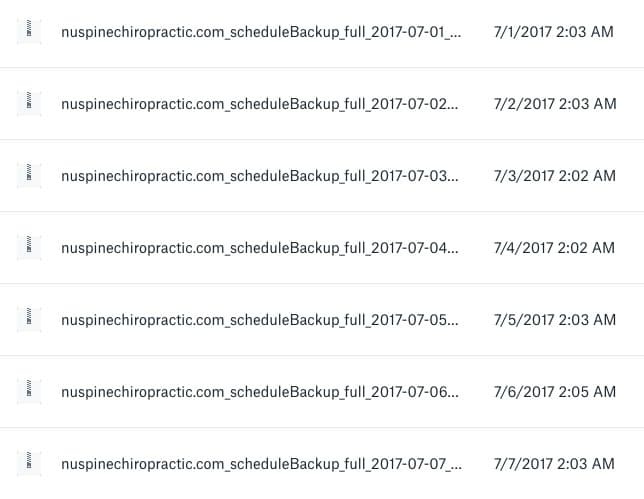 Through our system, we’re able to schedule these backups to run automatically. We’re also able to easily revert to a saved backup if need be. Backups are stored securely in Dropbox. When updating WordPress, you’ll get a warning to backup your files and database first … you’re covered.